Apple will host an iPhone event on October 4. 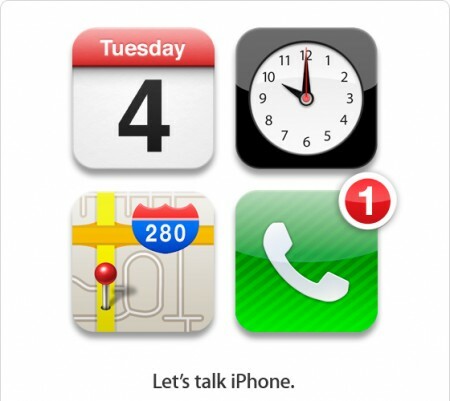 The event, titled “Letâ€™s talk iPhone“, will be held in the Apple campus at 10 am PT (8 pm Makkah time). I would guess that Apple will announce the fifth generation iPhone, iOS 5 and iCloud. im going to watch this live! will facetime works in ios5? surprisingly in my ios 4.3.5 facetime was activated last week, i am enjoying this, my phone is not jailbroken. will my facetime works in ios5? What carrier you are using , i am on STC & using IOS 4.3.5 but no face time confirm plzz.